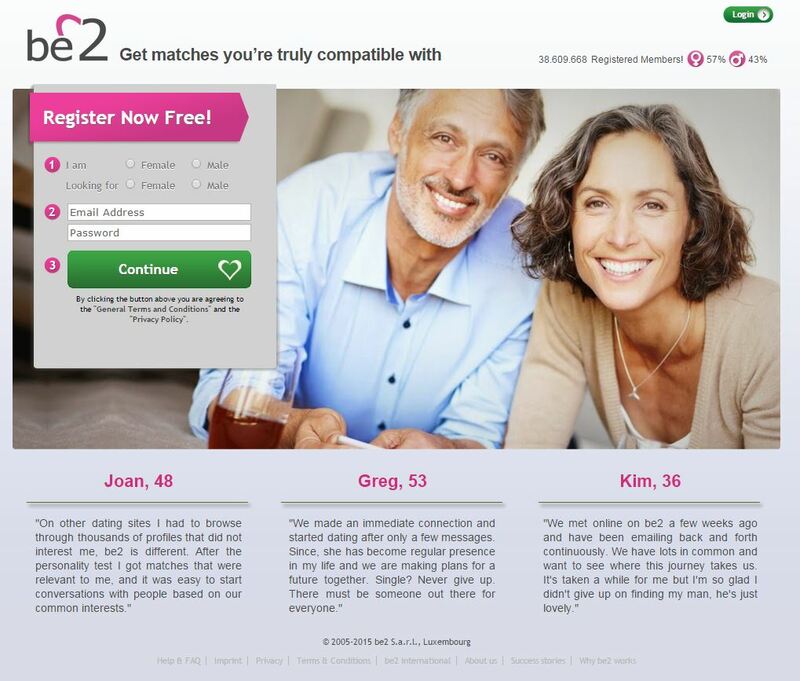 Be2 is one of the leading senior dating platforms aimed at mature men, and women looking for a long-lasting relationship. The site was launched on 2004, and since then over 12million people worldwide have joined the platform. Currently, around 20,000 daters register in the site every day with the objective to find their soul mate. Be2 is available in more than 30 countries. You just need a few minutes to join Be2 for free. The first step consists of filling a questionnaire that lasts around 10 minutes that evaluates your personality type. The platform then connects you with users who are highly compatible with you. After that, you can check your results, and complete your profile with interesting information about you for free. In addition, you can include details such as your lifestyle, your hobbies, your point of view about what would make a great relationship as well as a short description of your romantic goals. From there, you can check out the matches proposed by Be2, have a look at the list of new users or use the advanced search to find mature men/women that really fit in your description of the ideal partner. Once you find someone that you think it may meet your expectations, if you are Premium, you can break the ice, and initiate a conversation. Having a first date is in your hands! Be2 is really easy, and pleasant to use. The site proposes you a daily match, which eases your search for your significant other. If you want to check the information from other profiles, you first need to fill yours, and the platform needs to verify it, and that, for sure, is a bonus! A great way to prove that users in the platform really are serious about their intentions of finding love online. 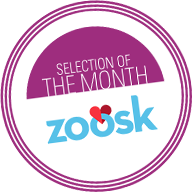 The dating site promises Premium members contact with a minimum of 10 Partner Recommendations, in such cases where you have exchanged messages with less than 10 different users, if you tell Be2’s team in advance, your membership will be extended for free. You are ensured that the platform actually works efficiently -that is not a waste of time- that you really meet like-minded users, and that you can truly find a partner. Be2 includes some features that are free to use, like for example, adding pictures to your profile, taking the personality test, and reading the detailed report with the results as well as the blog, but to take the most of it, and increase your chances to find that special man/woman, then it is better to get a subscription to get in touch easily. As it happens to similar dating sites, safeguarding users’ privacy is primordial for Be2. In fact, the company declares that it works with international data protection centers to ensure there are not fake profiles in the platform. There is a moderation team that checks that all the information included in users’ profiles meet the page’s basic guideline and that there are not scammers. In addition, you can decide who can sees your photos. Undoubtedly, Be2 is a very proficient senior dating site. Thanks to its Premium guarantee, where you are promised contact with at least 10 users who really meet your criteria, your chances to find the perfect partner are really high!